Councilor Justin Costa outlines several areas where the school district could cut roughly $1.1 from its $112 million proposal. After a long and sometimes contentious meeting, Portland city finance officials voted 2-1 early Thursday to recommend a $247 million municipal budget – and to trim $1.1 million from the school district budget. Portland Superintendent Xavier Botana proposed cuts to his own budget proposal, but the school board rejected them. The committee voted 2-1, with Mayor Ethan Strimling opposed, to recommend a $110.6 million school district budget to the City Council. The school board had recommended a $112 million school budget, but Mavodones and committee member Justin Costa have consistently said they wanted a lower budget. The $110.6 million budget approved early Thursday would result in a 5 percent increase in the school portion of the tax rate – which is about half the municipal budget. When combined with the proposed $247 million city budget, residents could see a roughly 3.8 percent increase in their property taxes, from $21.65 per $1,000 of assessed value to $22.47. That would add about $196.80 to the annual tax bill of a home assessed at $240,000. Even though the city council cannot make line-item decisions about the school budget, the committee spent considerable time Wednesday going through a list of alternative reductions proposed by Costa. 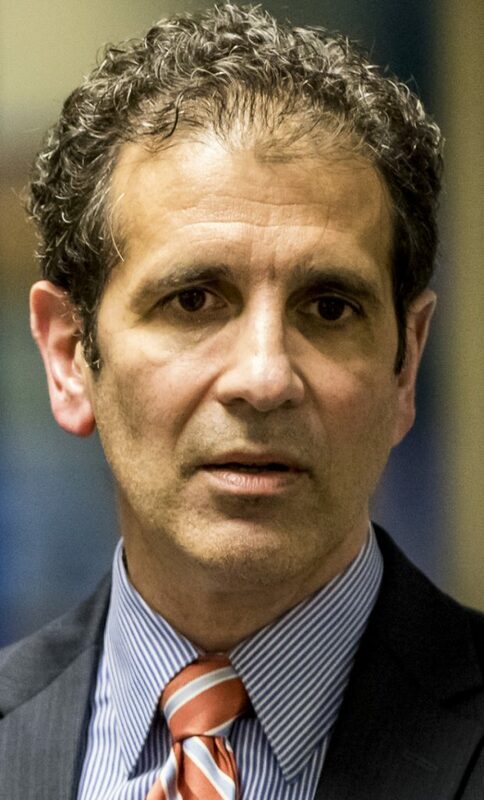 Superintendent Xavier Botana has said his recommended first-line cuts – all discussed and rejected by the school board – include cutting elementary school world languages, increasing elementary school class size, eliminating some middle school electives, making $400,000 in high school cuts, and eliminating eight crossing guard and two school resource officer positions – police officers stationed at Portland and Deering high schools. Instead of those proposed cuts, Costa suggested reducing costs by, among other things, cutting the team leader for social workers districtwide, the assistant principal position at Reiche, two Adult Education positions and a two-day professional development program for middle and high school teachers to work on the new proficiency-based diplomas. “I’m trying to give people a path that avoids the parade of horribles we’ve been talking about for two months. … And doesn’t touch any of these sacred programs like music and art,” Costa said. Mavodones said the school budget process this year has been “divisive.” At one point Wednesday, when a councilor and Strimling got into an insistent back-and -forth on a policy point, Mavodones lifted the committee gavel with a smile and threatened to gavel them into silence when they ignored his repeated “gentlemen, gentlemen” in an effort to stop the conversation. Mavodones said Costa’s proposal, while only a suggestion, shows there are alternatives. “I think it’s illustrative because there are other opinions,” said Mavodones, who said he would have preferred even more reductions. If the council cuts the school board budget, “there are ways to get there other than what has been proposed and what has caused great consternation in the community,” he said. His suggestions come on the heels of Strimling, also a member of the finance committee, offering a proposed a list of changes to the city manager’s $247 million budget proposal as a way to head off reductions to school spending. They include cutting or delaying nearly $500,000 in spending from the city manager’s budget proposal, while increasing a variety of business fees to raise nearly $1.2 million in additional revenue. In a string of 2-1 votes, almost all of Strimling’s suggested changes to the municipal budget were rejected by Mavodones and Costa. On Wednesday, Strimling repeated his position of keeping the school budget as is, and raising revenue on the municipal side. “I don’t want to move backwards,” he said, referring to Costa’s suggestions. The council is scheduled to vote on the school budget on May 14, setting up a citywide school budget referendum on June 12. The council is scheduled to vote on the municipal budget on May 21. Council members at the meeting, Belinda Ray, Spencer Thibodeau, Jill Duson and Kim Cook, all spoke in favor of a reduced school budget, and pointed to Costa’s ideas as alternatives to the cuts that have been proposed by the superintendent. The school board has not yet decided where, exactly, they would make cuts if the city council votes Monday to cut the budget.